Stord is a pleasant little community on the west coast of Norway, midway between Bergen and Haugesund. Workplaces, schools, nurseries and leisure facilities are all close at hand. Transport links with Bergen, Haugesund and Stavanger are excellent, whether you are travelling by express boat or by car and ferry. The island has its own airport with daily flights to Oslo Gardermoen – a flying time of about one hour. 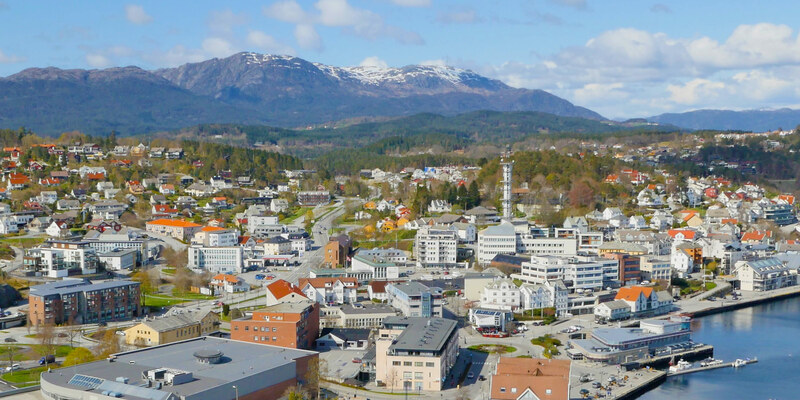 Stord is a lively urban community with nature right on its doorstep. Leirvik, with a population of 9,000, is the capital of the Sunnhordland region. The second town in Stord district is Sagvåg, with close to 5,000 inhabitants and growing. The district of Stord occupies the south side of the island of Stord and has a total population of 18,800. The district of Fitjar, on the north side of the island, has around 3,200 residents. Our regional capital, Leirvik, is a well-established small town with a lively pedestrian precinct, Borggata. Stord has all the amenities you would expect in a town, such as a hospital and an airport. * Stord is also a centre for education and training, with several senior high schools and a college. Stord/Haugesund College offers courses in teaching, engineering and nursing, and has its administrative headquarters at Rommetveit, north of Leirvik. Stord Airport at Sørstokken is served by daily flights to and from Oslo Gardermoen Airport.